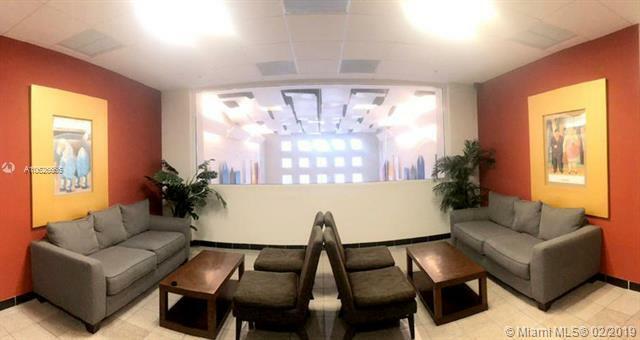 This is a beautiful FURNISHED Office Space available for Lease in the Heart of Doral near the beautiful Downtown Doral. It consists of 4 private offices with 4 large windows, a conference room or fifth office with a large window. The building offers a cafeteria on the premises and there are 2 conference rooms available to all tenants / owners. The office is in excellent condition with new paint and wooden floors. It has 3 assigned covered parking spaces in addition to many guest parking spaces and is centrally located for transportation. BRING YOUR OFFER! Listing courtesy of Florida Realty Of Miami Corp. Copyright 2019, Participating Associations/MLS’s in the SEFMLS, MIAMI Association of REALTORS, Realtor Association of Greater Ft. Lauderdale, South Broward Board of Realtors. All rights reserved. The data relating to real estate for sale on this web site comes in part from the participating Associations/MLS’s in the Southeast Florida Regional Multiple Listing Service cooperative agreement, MIAMI Association of REALTORS, Realtor Association of Greater Ft. Lauderdale, South Broward Board of Realtors. The information being provided is for consumers' personal, non-commercial use and may not be used for any purpose other than to identify prospective properties consumers may be interested in purchasing. Information is deemed reliable but not guaranteed. Copyright 2019, Participating Associations/MLS’s in the SEFMLS, MIAMI Association of REALTORS, Realtor Association of Greater Ft. Lauderdale, South Broward Board of Realtors. All rights reserved. Use of search facilities of data on the site, other than a consumer looking to purchase real estate, is prohibited. Data last updated 2019-04-23T07:40:56.207.